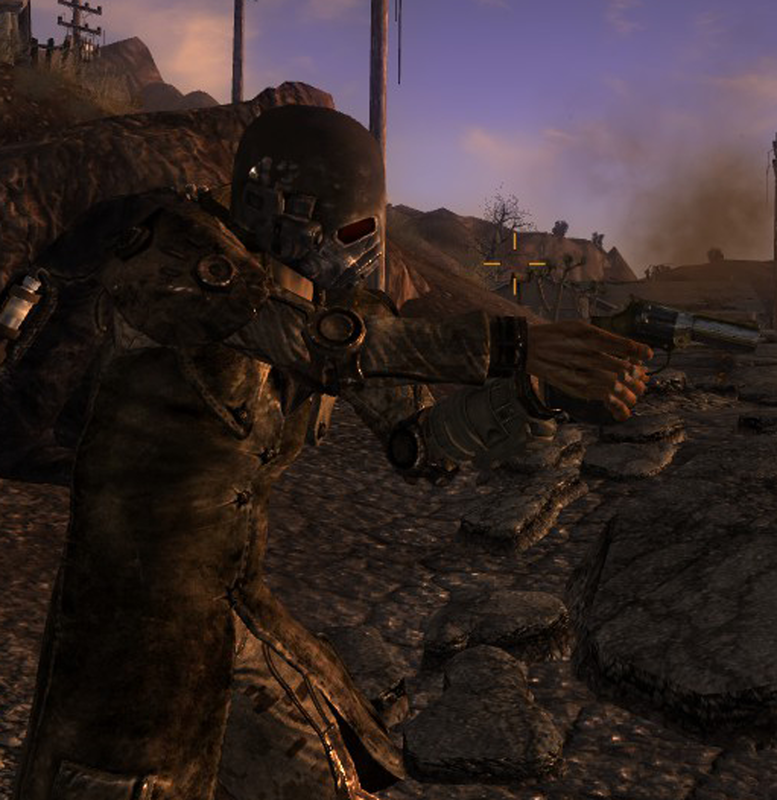 For Christmas morning, as my girls played Minecraft on mommy’s tablet, I played some Fallout: New Vegas with a few mods that changed up the game enough to make it feel fresh. I have found that I really like a wide selection of weapons, and so I activated the Weapons of the New Millenia mod. I also have the WMX (Weapon Mods Expanded), which provides a bunch of excellent mods like scopes and silencers to all weapons. My character now has a Colt Pocket 1849 as his sidearm and a scoped and suppressed HK G3/SG1 as his longarm. Yes, that is a wonderful thing. A few days to enjoy, and then back to grind. Better than not having those few days. Off to shoot some bad guys in the face. You can find the Weapons of the New Millenia mod here. You can find the WMX (Weapon Mods Expanded) mod here. The Internet Movie Firearms Database listing for the HK G3/SG1 here. The Internet Movie Firearms Database listing for the Colt Pocket 1849 here. And now, some pictures of my baby! Vasily with his snappy hat and best buddy. Vasily with his sidearm, getting ready to shoot a bad guy in the face. 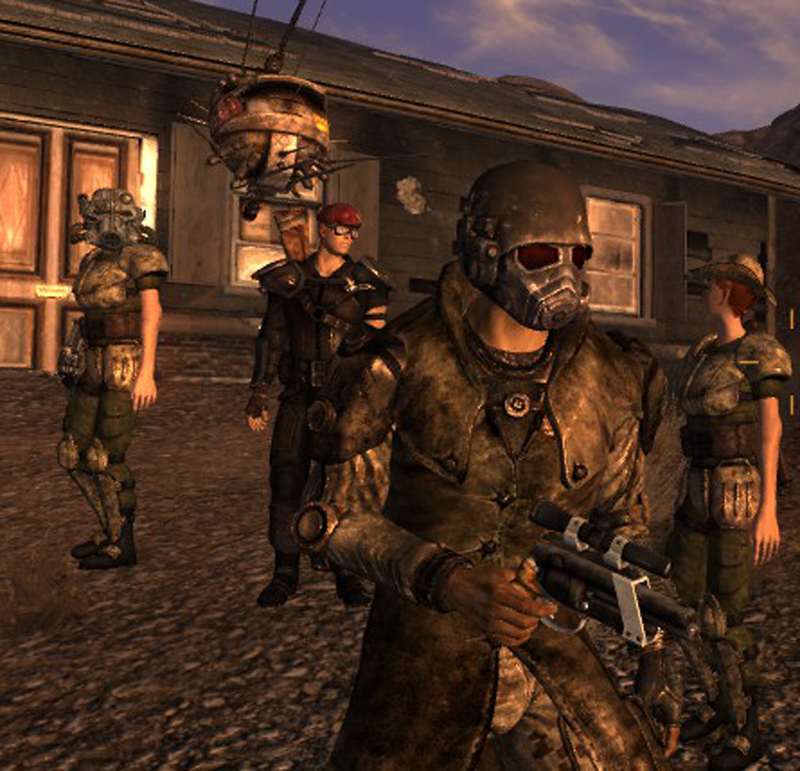 This entry was posted in Personal and tagged Fallout, Fallout New Vegas. Bookmark the permalink. 2 Responses to Santa Brought . . . Free Time! Things have gotten even weirder. Vasily with his AS Val (and his posse). That’s his only assault rifle right now. And with his MP-412 Rex. I’m using that mostly because the sound effect of it firing is excellent. And the piéce de resistance, Vasily with the gun from Blade Runner (“That Gun”) modded with a scope and extended barrel.